2018 in Nunavik was a year when Inuit leadership came full circle, with the re-election of Makivik Corp. founder Charlie Watt as the organization’s president once again. Watt has pledged to pursue an Inuit self-government for the region. At the Kativik Regional Government, councillors re-elected Jennifer Munick to another term as chair. But veteran leadership has not eased the region’s struggle with suicide, as Nunavik saw the highest number of suicides on record in 2018. That number sat at more than 30 earlier this winter, prompting regional organizations to convene an emergency meeting. 2018 also marked a year of frustration and delayed negotiations—some with unions and others with regional organizations trying to renew funding agreements with Quebec and Ottawa. Here are some of Nunavik’s top stories from over the last 12 months. 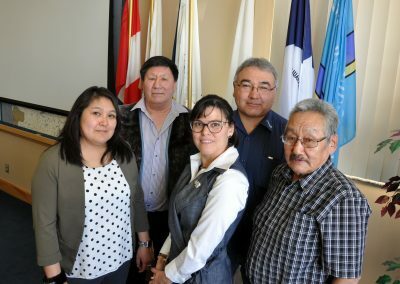 Inuit leadership in Nunavik comes full circle as one of Makivik Corp.’s co-founders, Charlie Watt, is re-elected as the organization’s newest president. Watt helped establish Makivik in 1978 and served as its first president. He was later appointed as a federal Senator, a role he resigned from in order to return as Makivik’s president. The union representing Nunavik’s roughly 300 teachers threatens to strike, after going without a contract since March 2015. 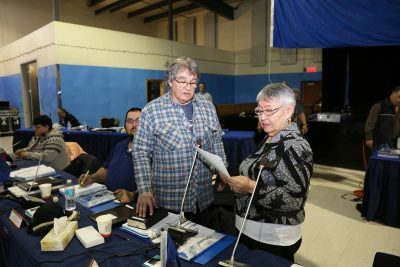 Within a week, the Association of Employees of Northern Quebec (AENQ) and the Kativik Ilisarniliriniq reached an agreement in principle. Montreal doctors urge the province to revise a policy that does not allow parents to fly with their sick or injured children on Quebec’s air ambulance, which serves remote regions like Nunavik. “The Inuit population is particularly affected by this practice,” the doctors wrote in a letter. Nunavik Inuit ask to be exempted from Quebec’s new firearms registry, which comes into effect on Jan. 29. 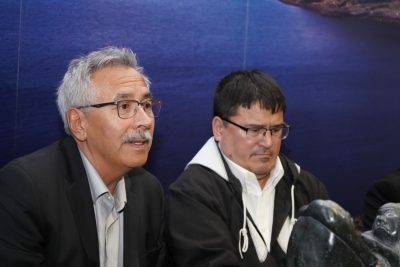 Makivik Corp. argues Inuit should be excluded from the registry because of their distinct rights as harvesters under the James Bay and Northern Quebec Agreement. Quebec Health Minister Gaétan Barrette tells reporters outside Quebec’s National Assembly on Feb. 6 that his department is working on an arrangement that would allow at least one parent to board the air ambulance. Montreal man Kwasi Benjamin’s trial begins into his alleged murder of 29-year-old Nellie Angutiguluk, his girlfriend and a mother of three originally from Puvirnituq. A newly released coroner’s report confirms that a 21-year-old man from Kangiqsualujjuaq who died the previous summer had died of tuberculosis—the first recorded death from TB in the region in recent history. The Kativik Regional Government takes the very first step towards bringing fibre optic to the region, by awarding a contract to a firm to do technical work ahead of an undersea survey along the Hudson Bay coast planned for the open-water season. Quebec’s independent investigation agency is called in to look at the death of an Inukjuak man, one day after Nunavik police responded to a domestic abuse complaint from the man’s spouse. The Bureau des enquêtes indépendantes must investigate any deaths that could be related to police interventions. In Kangiqsujuaq, 31-year-old Matteusie Kamugaaluk is charged with first-degree murder in the death of 19-year-old Robert Adams. 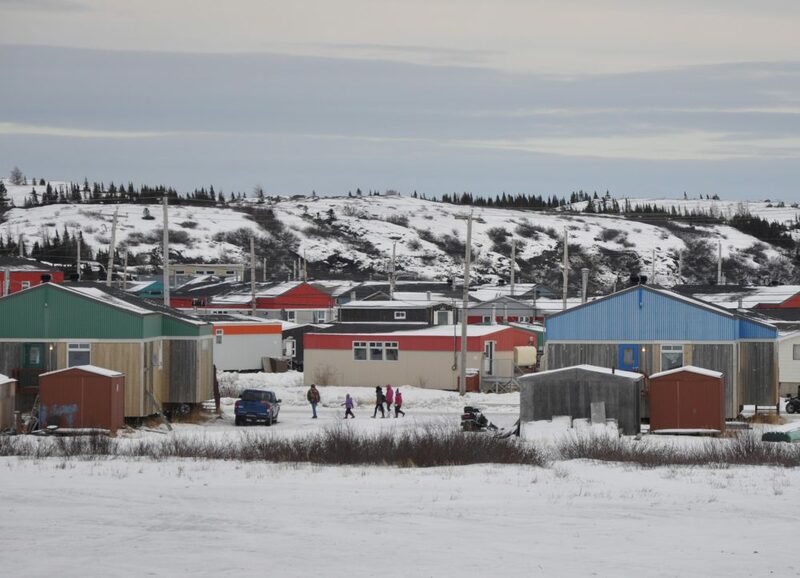 Health officials in Nunavik say they’ve made a request to the provincial government to increase the average daily payment made to foster families in the region from $25 to $100, to help relieve a shortage of foster homes in Nunavik. The National Inquiry into Missing and Murdered Indigenous Women and Girls hosts a week of hearings in Montreal, one day of which is dedicated to Inuit testimony, much of it from Nunavik survivors and their families. Hydro-Québec announces plans to do a controlled release from its almost-full Caniapiscau reservoir. That prompts concerns in Kuujjuaq that the spill could raise water levels in a river of the same name, a tributary of the Koksoak river, which flows through Kuujjuaq. Nunavimmiut can still recall a 1984 dam release that coincided with the drowning deaths of some 9,000 caribou. The Kativik Regional Government and its employees union, the KRGEU, reach an agreement in principle towards a new contract. At this point, the union’s 200 general employees and 66 federal transport workers have been without a contract since December 2015. Makivik Corp.’s one-year-old business development body, Nuvviti Development Corp., is restructured under the direction of Makivik president Charlie Watt, who said the new corporation was duplicating Makivik’s work and taking away Inuit ownership. Makivik appointed a new board of directors and said more changes were likely. The KRG’s Tamaani Internet, in collaboration with Ice Wireless, announces that all 14 Nunavik communities are scheduled to get 3G cellular and mobile data services by the end of the year. 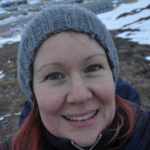 A 28-year-old lab technician is found dead on June 12 in her Kuujjuaq home. The following day, Randy Koneak is arrested and charged with her first-degree murder. The Quebec government says that parents can begin to accompany their children aboard the province’s air ambulance, starting in July. But Health Minister Gaetan Barrette comes under fire for comments he makes at an event, suggesting that Nunavimmiut parents will be too drunk to board the aircraft. 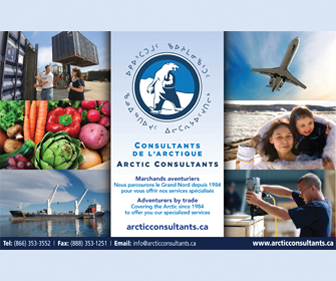 Makivik President Charlie Watt says that Canada’s eastern Arctic is too big and remote to support two regional airlines, conditions that have prompted another round of merger talks between his organization’s First Air and its rival, Canadian North, which is owned by the Inuvialuit Corporate Group. Hydro-Québec begins a controlled dam release from its Caniapiscau reservoir on July 20, to help manage high water levels in the region. No flooding is reported upstream near Kuujjuaq. 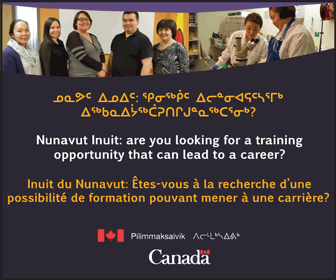 The federal and provincial governments finally make good on a pledge to deliver $125 million to Nunavik through the Connect to Innovate program. That allows the Kativik Regional Government to move ahead with an undersea survey of the Hudson coast, where a fibre optic network will be laid, in addition to the construction of new microwave towers and surplus satellite capacity to boost the region’s bandwidth by 2021. 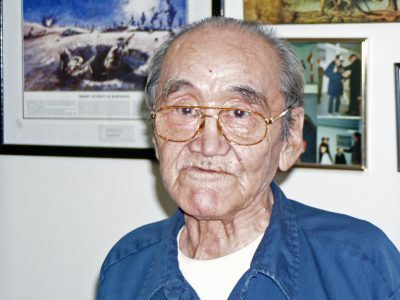 Eddy Weetaltuk, a Nunavik Inuk veteran of the Korean War, will receive a new military marker on his gravesite in Umiujaq, thanks to an application made by a fellow veteran in the community. The marker will be installed by the Last Post Fund sometime in 2019. Weetaltuk died in 2005 at age 73. 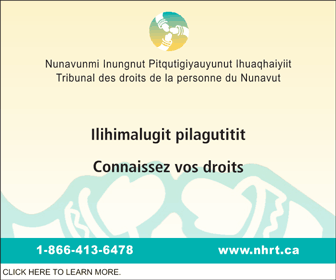 A Quebec Superior Court judge rules that a Kuujjuaq woman does not have to complete a jail sentence until the province can provide a facility for her to serve an intermittent sentence in Nunavik. This highlights a major gap in the region’s correctional system, or lack thereof, which forces offenders to travel outside the region to serve time. The Kativik Municipal Housing Bureau moves ahead with plans to evict non-paying tenants again in 2018, after a year of no evictions in 2017. The organization launches its Pay Your Rent campaign, which sends staff to social housing to meet with tenants to try to arrange a payment plan, to prevent eviction. Fears rise among Nunavik’s leadership as marijuana legalization nears across Canada, although no physical stores are planned for the region. Nunavimmiut worry about Inuit youth having greater access to cannabis, and the impact increased use of the psychoactive plant could have on developing brains. Quebec’s provincial election campaign brings a first: two Inuit women are running as candidates. Alisha Tukkiapik, a community worker in Kuujjuaraapik, runs to represent Québec Solidaire in the riding of Ungava, while Mona Belleau, originally from Iqaluit, runs for the provincial NDP in Chauveau, a riding on the outskirts of Quebec City. A group of 20 students begin classes at Nunavik Sivunitsavut, the Montreal-based college program run by Kativik Ilisarniliriniq and modelled after its veteran Nunavut counterpart based in Ottawa. 2018 marks the program’s second year, as well as its transition from a pilot project to a full-fledged program. Quebecers elect a new Coalition Avenir Québec government on Oct. 1, headed by premier François Legault. Nunavik has a new representative in the National Assembly too, Ungava’s MNA Denis Lamothe, a former Sûreté du Québec officer who worked for a time in Nunavik. After a record number of suicides in 2018—many of them Inuit youth—Nunavik’s school board calls for an emergency meeting of regional organizations to draft a response. Kativik Illisarniliriniq says its own school staff are overwhelmed and calls for collective action. A new report prepared by Quebec’s ombudsman calls on the province to provide better support to Nunavik’s school board, Kativik Ilisarniliriniq, to help improve education outcomes across the region. The report highlights a lack of Inuktitut-language education and secondary curriculum, teacher shortages and overcrowded housing in the region. 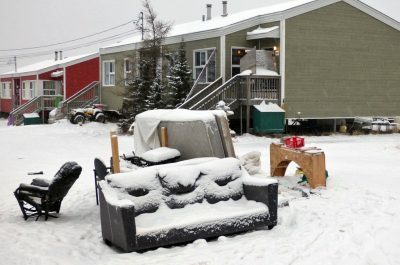 The Kativik Municipal Housing Bureau evicts 33 tenants from social housing in response to court-ordered notices to pay up or get out. Among the tenants facing eviction this year, the amount of rent owing varies from about $1,300 to more than $55,000. Quebec’s Viens commission, which is looking at how Indigenous groups are served by certain government programs, hosts hearings in Kuujjuaraapik and Kuujjuaq to gather testimony from Nunavimmiut. Among the testimony gathered, an Inukjuak family that lost their mother and wife, Eva Kullula-Ookpik, who died of botulism poisoning after her illness was misdiagnosed at the local health centre. The Kativik Regional Government Employees Union vote in favour of a strike mandate on Nov. 26. The union, which oversees about 200 employees at Nunavik’s regional administration, is stepping up pressure tactics as the group nears three years without a contract. Kativik Regional Government councillors re-elect incumbent chair Jennifer Munick to a second term Nov. 27. 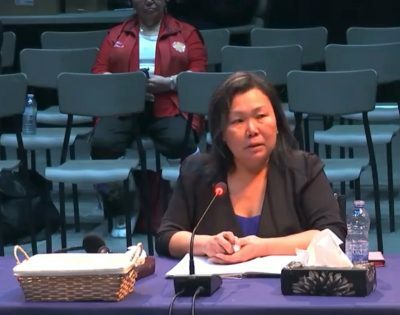 Munick was not re-elected as a municipal councillor in her home community of Kuujjuaq this year, but a rule in the Kativik Act allows sitting chairs to seek re-election. Hilda Snowball of Kangiqsualujjuaq is elected as KRG’s vice-chair. Roughly nine months after Tasers are introduced to four Kativik Regional Police Force detachments in Nunavik, as a way to de-escalate violent altercations, the police force says the tool has been successfully used only once. The issue? Taser darts cannot penetrate heavy clothing, like parkas. With help from a mediator, the Kativik Regional Government management and its more than 200 unionized employees finally reach an agreement following almost three years of contract talks. Union members say they’re “pleased” with the agreement, but they acknowledge that the parties will be back at the negotiating table again in just nine months.